Who Knew Donkey Kong Could Be This Gorgeous? 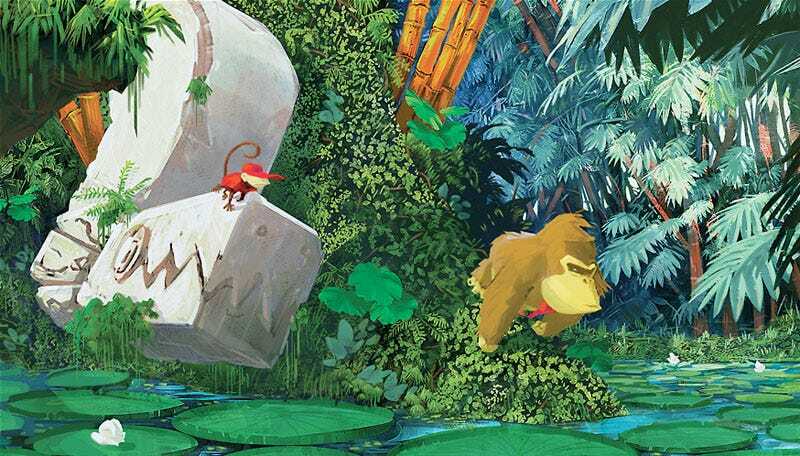 Beautiful concept art for Retro Studios' Donkey Kong Country Returns shows that this Wii game could have been a different looking beast. Artist Sammy Hall posted early design work for the Wii game at his blog and on the Concept Art forums late last year, showing off some concepts that didn't make it into the final game—like Donkey Kong in Super Mario Bros. 2 filtered through a Virtual Boy lens—and a few familiar locations. There's a sampling of the art in the gallery below, with a larger collection of lovely Donkey Kong Country Returns artwork in the original forum posting.